The open, mature pine forest with its towering trees is a great place to explore by bike or on foot. 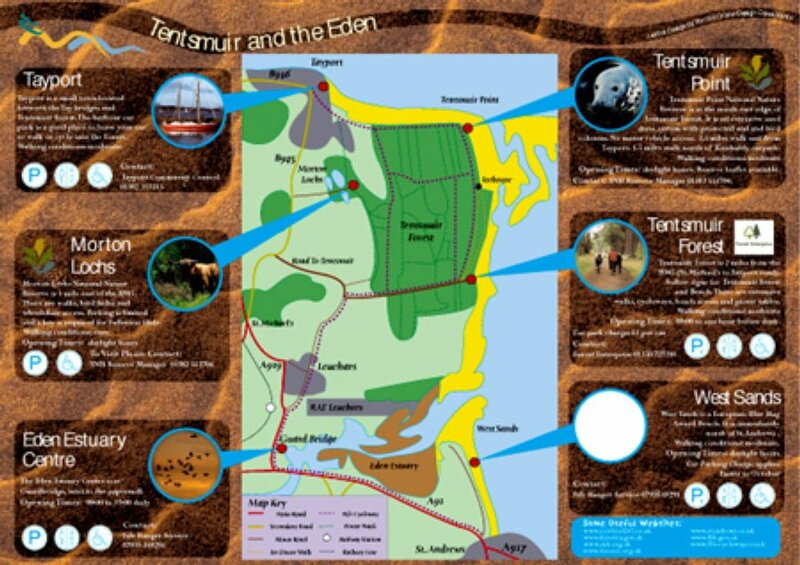 You can follow one of the waymarked trails, or plan a longer day out and take a circular route which links to Tayport Heath and Morton Lochs. There is car parking at Tentsmuir car park, however the car park is locked overnight and the times of closure vary throughout the year. Check on entry. Please note automatic pay barrier requires £2.00. Children's play area, toilets and picnic areas are all located close to the car park.